If you have been reading this blog for any length of time, you probably know that I am an avid letterboxer. From the thrill of the hunt, to the challenge of carving an intricate rubber stamp, to documenting our adventures in a letterboxing journal – I love it all. If you have never heard of letterboxing before – read this. I have always kept a letterboxing journal to collect all the stamps from the b0xes we find. However, there was something so impersonal about just collecting the stamped images in a logbook. I wanted a place for the stories from our adventures, as well as pictures and memorabilia from our outings. 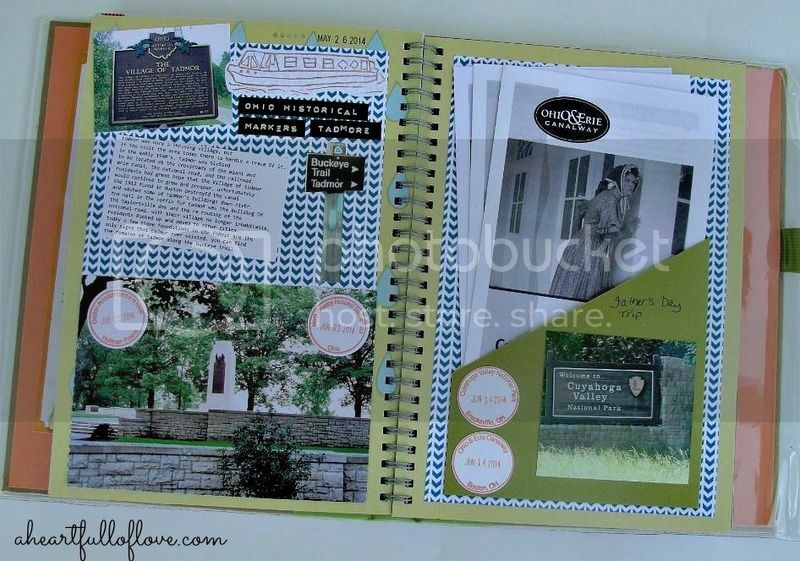 So I started scrapbooking our letterboxing adventures – Smash Book style. I have been having so much fun putting it together, I thought I would share. Smash Books are an off-shoot of scrapbooking. It is basically an anything goes style of documenting your memories. It reminds me of the scrapbooks my mom kept for me in the 70’s and 80’s. You can be as creative as you want. No rules, just put your photos and memorabilia in the pages however you want. 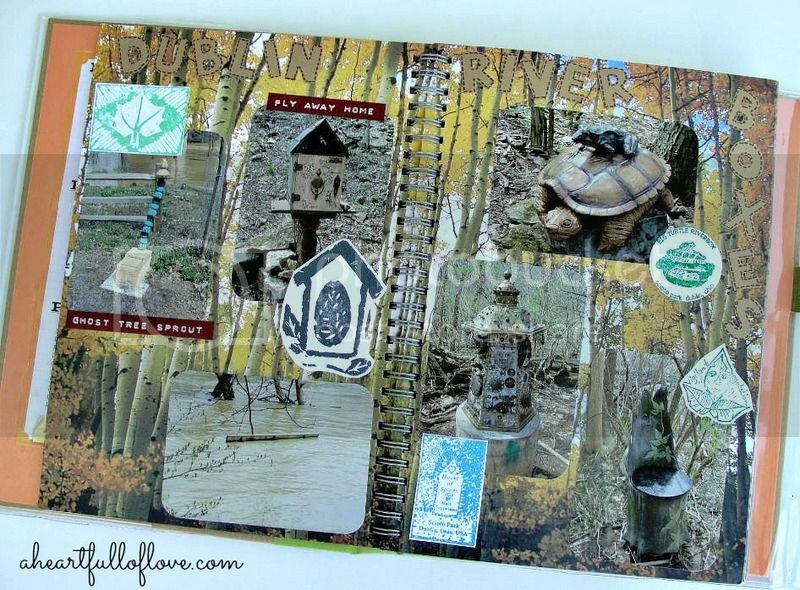 To learn more about this style of scrapbooking, be sure to look through my Smash Book Pinterest Board. 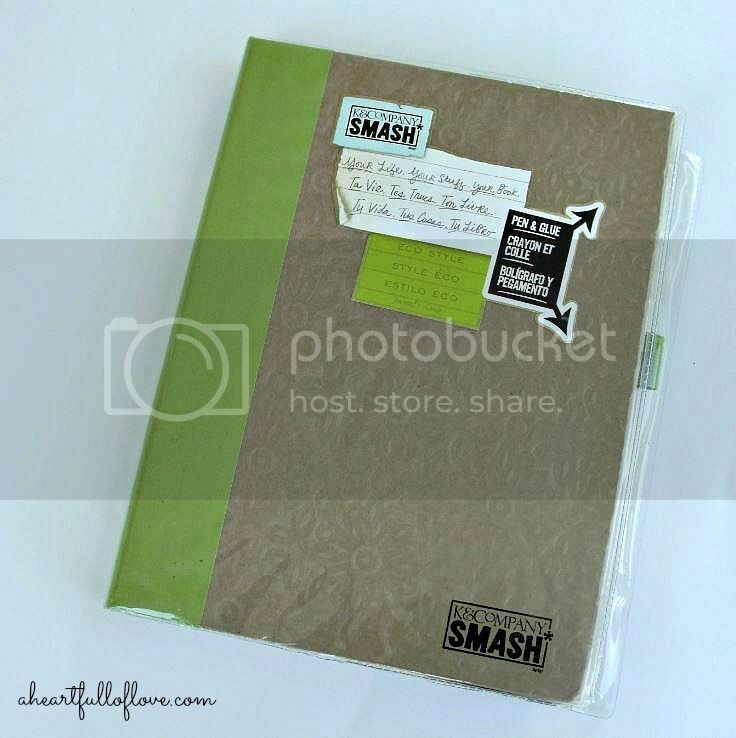 For documenting my letterboxing adventures, I have been using the K&Co Eco Style Smash Book. 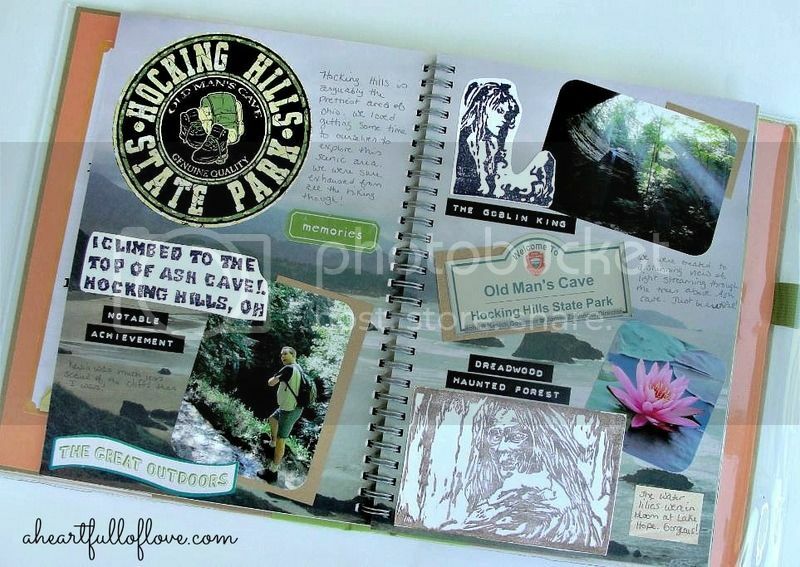 Its pages are mostly outdoor-themed, so it is just perfect for an activity that involves hiking and enjoying the great outdoors. I have only come across a couple of pages that don’t really fit. For those, I just use patterned paper to wallpaper the page. One thing that has always bugged me about the traditional letterboxing journal is those inevitable times when you don’t get a clear image. Most letterboxes I know just stamp it a second time and be done. My solution for some time has been to stamp on sticker sheets. If I get a bad impression from a stamp – no big deal. I just stamp another one. 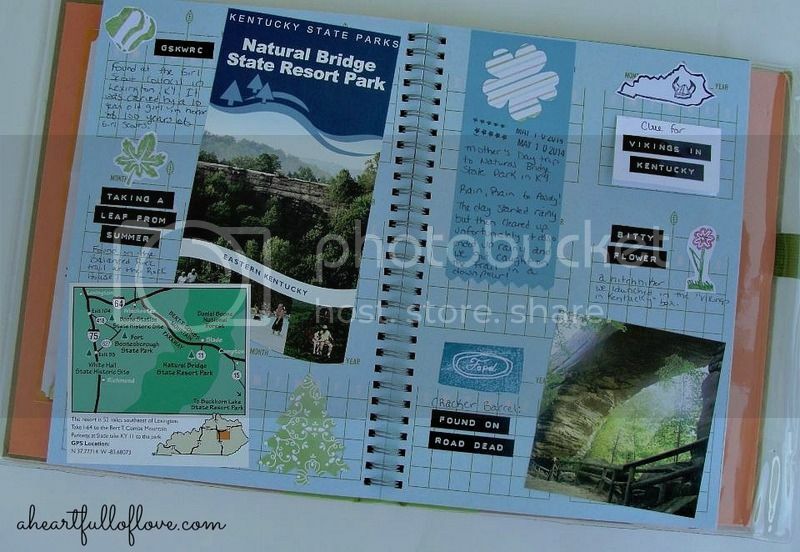 These stamped images are quick and easy to add to your journal because they already have adhesive on the back. When we get home from my outing, I cut each image out and then stick it in my journal. Since I have started keeping a letterboxing Smash Book, I still use the sticker sheet method. Other things I include in my Smash Book are first finders certificates, brochures from parks we visit, National Park Passport Stamps, and any post cards I might pick up. Sometimes I cut the brochures up and just use small bits on my pages. Sometimes I keep the brochures whole. For easy viewing of any brochures I want to include, I have been making pocket pages. That way I can remove the brochure and look through the whole thing if I want. Alternately you can use washi tape on the top edge to stick the brochure to the page so you can still open it up and read it. One thing I am doing to keep the look consistent throughout the Smash Book is to use a Dymo Label Buddy to make labels with the names of the letterboxes. I then stick that below the corresponding stamped image. I like the look of it and it’s easy to tell at a glance the names of the stamps. It’s a bit time-consuming process though, so I am not sure if I will continue this in future logbooks. Depending on how many boxes we find on a given outing, I typically make a 2 page spread for each place we go. That usually gives me plenty of room to write about our adventures. Sometimes I use a colored Sharpie to write directly on the photo. It works especially well if there is a lot of sky in the photo. I will eventually decorate the cover of my letterboxing Smash Book, but I am probably going to wait until the book is full. That way I can keep the plastic dust jacket on it to help protect it until I am finished. Really, you don’t need a lot to get started making a letterboxing Smash Book. 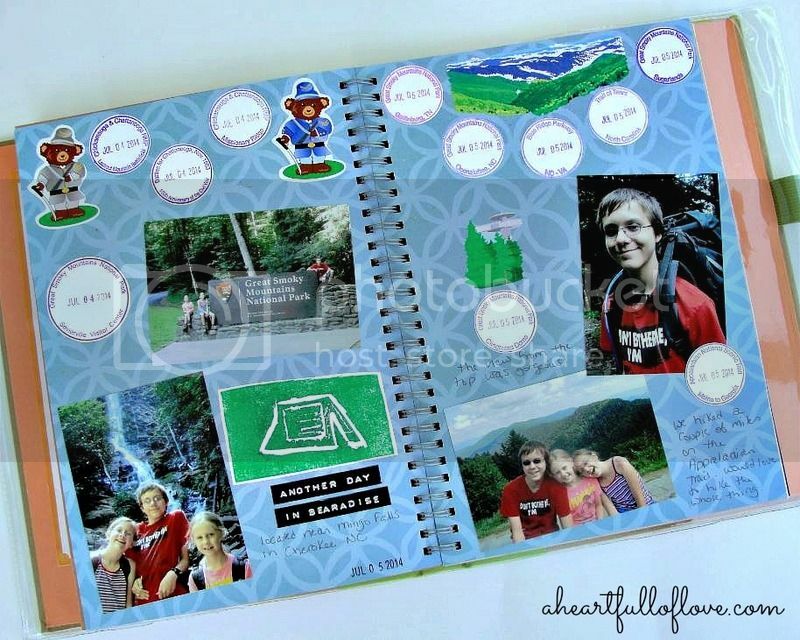 All you really need is a journaling pen (which comes with the Smash Book), scissors, adhesive, and your stamped images. You don’t need to purchase a lot of additional embellishments, although they can add a fun touch to your pages. I have been using up a lot of the leftover bits in my stash to add color to the pages – stickers, die-cuts, etc. Washi Tape – Always great for adding a bit of decoration and adhering pictures to the pages. Tombow Mono Adhesive – I use this for sticking down pockets as it is a stronger glue than what comes with your Smash Pen. 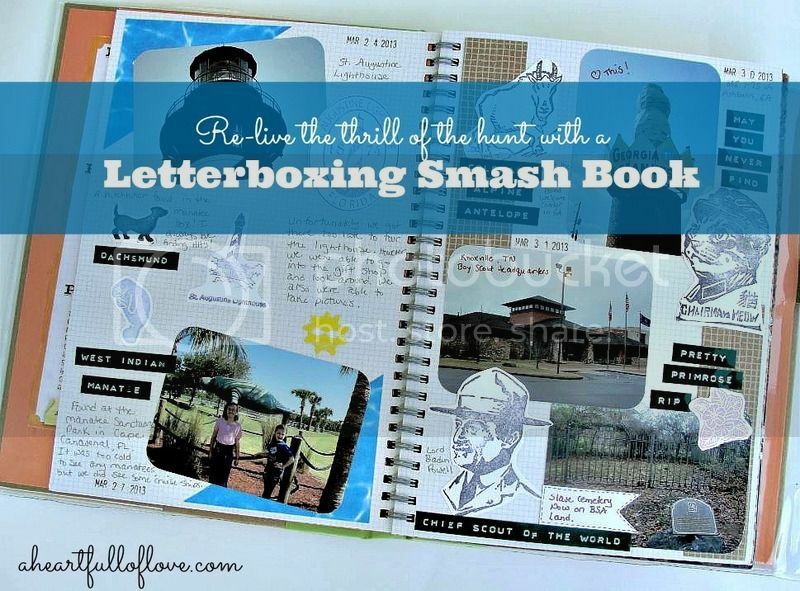 I have had a lot of fun creating my letterboxing journal Smash Book. I hope this post has given you some ideas for documenting your own outdoor treasure hunts. So tell me… Do you keep a scrapbook for your letterboxing or geocaching adventures?